A little birdie says, Sathya Jyothi Films, a well-known production banner, known for making movies like Moondram Pirai and Idhayam, might join hands with Prabhu Solomon for their next movie. Prabhu Solomon who usually goes for nature as his premise and for lesser known names in the star cast might join hands with a bigger star performer this time and if the rumors are true the makers might rope in Dhanush for this flick. Though nothing is confirmed yet. The last two years have been massive for Dhanush. 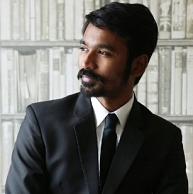 He has chosen subjects that highlight both the performer (Maryan, Raanjhanaa) and the star (Velai Illa Pattathari), in him. With Prabhu Solomon, who is known to extract the best of his actors, one can expect nothing less than sheer magic if this movie kicks off. Stay tuned in for more updates! I am a happy man now- says, SJ Suryah! Yennai Arindhaal takes pole position yet again! People looking for online information on Dhanush, Prabhu Soloman will find this news story useful.